Remove the tough stems from one bunch of kale. Tear leaves into bite-sized pieces and place in a large bowl. Drizzle your favorite healthy oil (olive oil or avocado oil are my favorites) over the leaves. Add an acidic medium, such as lemon juice or vinegar. 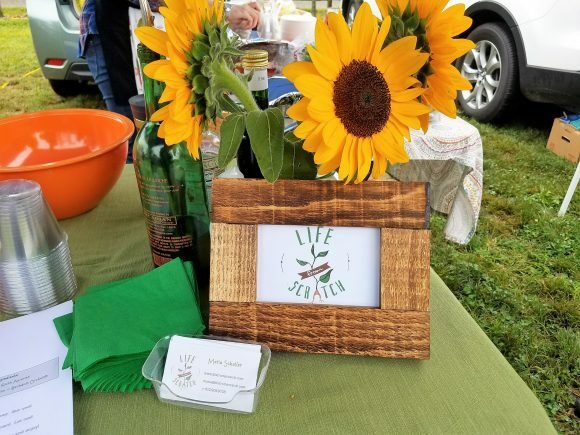 The acid in citrus juice or vinegar helps to boost the absorption of iron and calcium from the kale and also breaks down the kale leaves during the massage. Sprinkle with coarse salt. 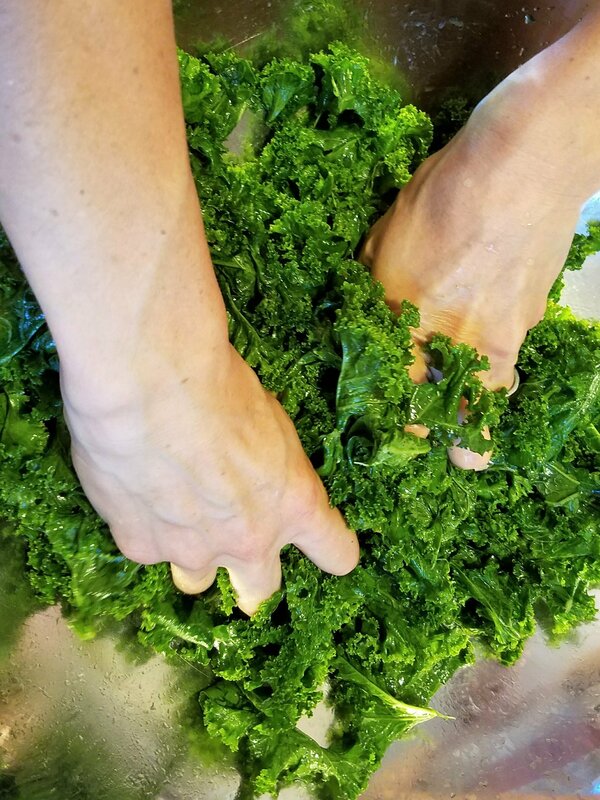 Roll up your sleeves and use your hands to massage the kale greens until they start to break down and become tender and a darker green color – the leaves should look wilted, almost like lightly sautéed kale greens would look. At this point, you can add any additional toppings or vinaigrette or just eat it plain as a kale salad. Enjoy!